Blast from the past: Liverpool 3 Vitoria Setubal 2 - LFChistory - Stats galore for Liverpool FC! The Reds staged one of the most rousing come backs in their European history, only to find they had still been beaten by UEFA's new rule to split teams who were level. It was a bitter pill to swallow for the second year running and also turned out to be the last time a Kop legend scored for the Reds. Liverpool had been beaten 1-0 in Portugal thanks to a freak goal after a speculative 40 yard shot from Cardoso took a deflection and struck the bar before Tome tapped in the rebound. Despite goals being needed in the return, the Reds attack had an unfamiliar and unconvincing look about it. 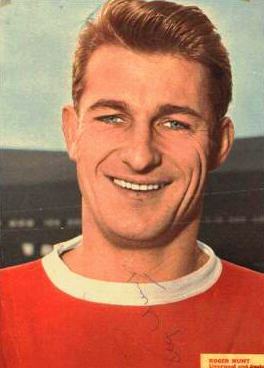 Perennial reserve Bobby Graham retained his place but record scorer Roger Hunt was a substitute, with 20 year old Steve Peplow being given just his third start for the club. Hunt was joined on the bench by record signing Alun Evans, who had not lived up to his early promise. Things looked bleak for Liverpool midway through the first half when Setubal took the lead from a penalty after Tommy Lawrence had felled Guerreiro. After 11 minutes of the second, the Reds fell further behind when Tome's shot took a deflection off Geoff Strong to wrong foot the Reds keeper. Liverpool now needed four goals in little over half an hour to go through and Shankly sent on Hunt and Evans as a last throw of the dice. Just four minutes later the Reds were given a lifeline. Hunt's shot was handled on the line and Tommy Smith netted the resultant penalty. But for all Liverpool's pressure they couldn't find a breakthrough with keeper Vital being in fine form. Then in the final minutes the Reds finally found the net, not once, but twice. First Evans scored from close range then Hunt hit a screamer from 20 yards, which put Liverpool ahead on the night and turned out to be the last kick of the game. With nobody being exactly sure how the away goals worked, the players waited around for extra time. However, they were then taken off the field by the referee, who informed them that the away goals rule came into effect after 90 minutes. 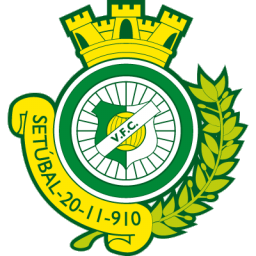 Hunt only made two appearances for Liverpool after featuring vs. Vitoria Setubal. Three weeks later his long love affair with the Kop came to an end when he was transferred to Bolton Wanderers after 286 goals in 492 games for Liverpool. But although Shanks felt Hunt was past his best he can't have been too impressed with his replacement in the starting line up that night, as Steve Peplow never played for the Reds again.